A teenage girl clambers up a steep embankment and pulls herself over the guardrail of a twisty mountain road. She has awoken from a blackout, and the last thing she remembers is being on a school trip — a trip that ended in a tragic bus crash a full four years earlier. 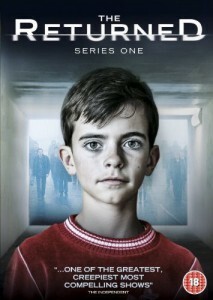 The Returned, a French series which emerges as a masterwork in eerie storytelling, purposely uncoils the accounts of those who mysteriously appear as if they have never been away. Inspired by the film Les Revenants, this fits easily in the current trend of stories which explore the dead returning, but none other does so with the same lyrical melancholy, the effect of which is enhanced by expert framing of tableaus and a haunting Mogwai score.